Welcome to our Information Page! 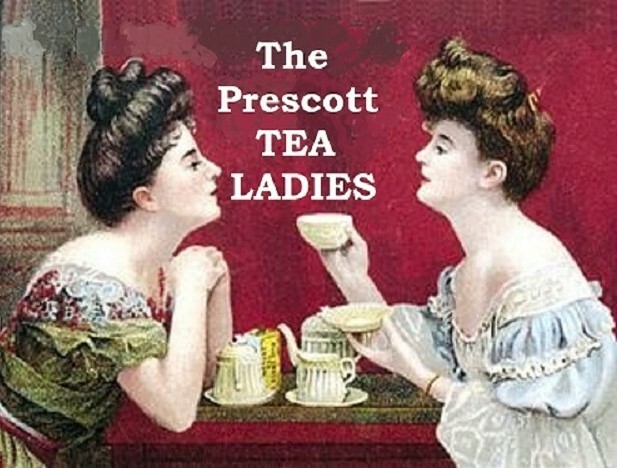 Established in 2014, we are a group of Prescott ladies who enjoy bringing our love of Tea Culture, History, and Historical Reenactment to local Fundraising Events, Schools, Care Centers, Libraries, and Museums. The Prescott Tea Society. We are also a proud affiliate of the Prescott Western Heritage Foundation, Inc. of Prescott, Arizona. Meet and Greet your guests, making them feel welcome at your event. Plan an a delightful, themed Afternoon Tea. 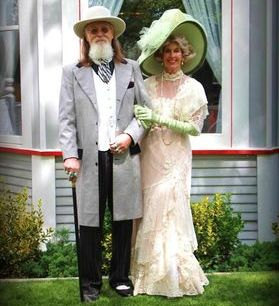 Create a charming Victorian, Edwardian (and other eras) Fashion Show. Present a first-person Famous Character performance. 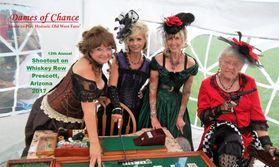 The Prescott Tea Ladies will arrive at your event in period costumes (and sometimes vintage automobiles!) suitable for the historic era being portrayed. 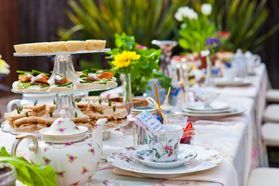 "Queen Victoria's Afternoon Tea"--Tea History, Etiquette and Culture. "Margaret Brown's Voyage Into History"--The Titanic 1912. 1892-98. Family History and Prescott History of my Endearing Great Aunt Irene. 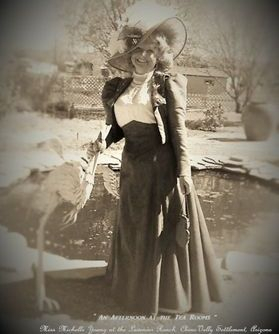 "Fanny Kautz: Prescott's First Lady of the Theatre"
"Women's' Hat Fashion Through History"
"Queen Victoria in Love" The History of St.Valentine's Day. "Victorian Social Media: The Gloves, The Parasol, The Handkerchief, and the Fan"
"Josephine Sarah Marcus Earp, Wyatt's 3rd Wife"
"From Hats to Spats: A Victorian/Edwardian Style Show"
"Far East Meets Wild West: The Chinese Gung Fu Teapot Finds a Home on the Range"
"Image is Everything: A History of Photography from the Civil War to 1910" This presentation features demonstrations of the Camera Obscura and the Wet Plate Camera. 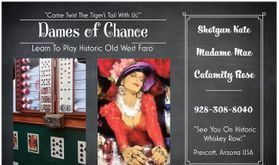 "Dames of Chance: Learn to Play Historic Old West Faro "
This interactive presentation includes demonstrations of Faro Bank, plus other historical games such as Put & Take, Shut the Box, Roulette and Three Card Monty. 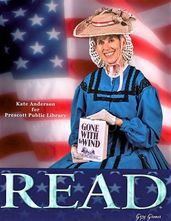 We bring our historic programs to Schools, Care Centers, Libraries and community fundraising events in Prescott, Arizona. As community volunteers, we do not charge for our services. Please allow The Prescott Tea Ladies adequate lead time, as we desire to provide you with the best quality programs possible. Call soon! Have an event with a special theme? presentation or fashion show especially for your venue. 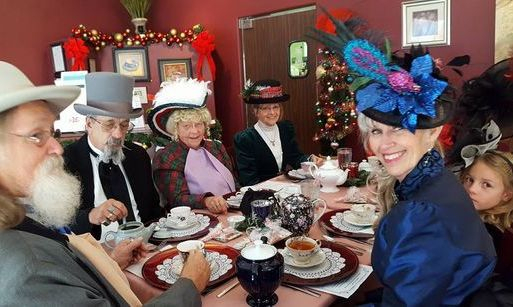 Victorian Christmas Tea. 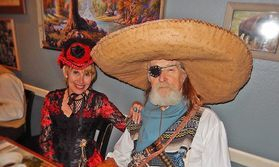 Beautiful costumes, and nearly 60 guests! We enjoy bringing History to life! Her Majesty the Queen often travels with us to our Teas, so naturally we made her an Honorary Prescott Tea Society Member!